"Tracking and capturing a wild elephant would take several days, with a whole troop of people and five to ten domesticated elephants involved in the hunt. Taming the elephant required up to three months and the relationship was so strong, elephants were considered members of the family and the village. In the early 20th century, 30 wild elephants were tamed in the province every year. In Ban Don there is the tomb of legendary elephant hunter Y Thu Knu (1850�1924), shown on tourist maps as �elephant hunter�s tomb.�". Ban Don - you must have visited Ban Don, otherwise you have not been in the Central Highlands. 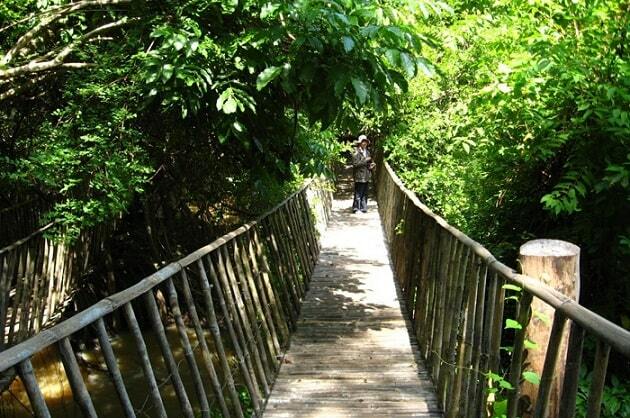 It's situated about 40 kilometers from Buon Ma Thuot. If you do not want to go yourself, then you must book one of the tours in Buon Ma Thuot. Formerly Ban Don was the capital of Dak Lak, but the French changed this. Ban Don is close to the Cambodian border and the move was strategic, economic and for social reasons. So the French moved their administrative offices to Buon Ma Thuot. Ban Don is currently one of the most famous tourist destinations and attracts visitors from home and abroad. The inhabitants of the village are from the Ede hill tribe. No wonder that with countries such as Cambodia, Laos and Thailand nearby, that Ban Don became an important trading point. In Laotian language the name of Ban Don means "island village". The village was indeed built on an island in the Serepok river. Particularly Laotians came down here years ago to trade. No wonder that many villagers still speak some Lao and Thai. On the other side of the river begins the Yok Don National Park with a dense jungle full of mystery and suspense. Here you can hear the echo and the fascinating sound of elephants, where the Ede did their hunting. Now they are still known as very good elephant tamers. 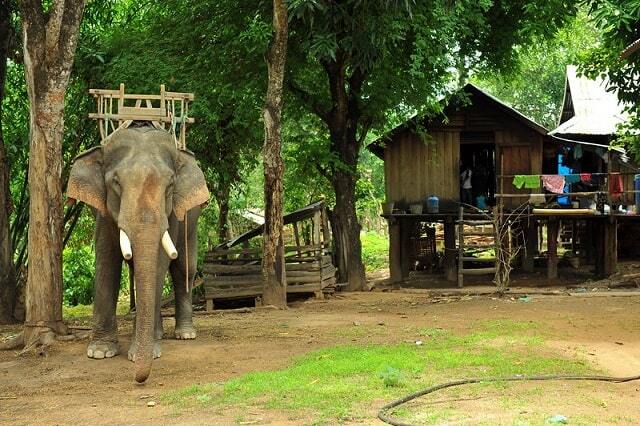 You can also take a ride on the swinging back of an elephant in Ban Don. The Yok Don National Park has a rich flora and fauna. Also Ban Don has a lot to offer culturally. So Ban Don has many favourable conditions to use both forms of tourism: ecotourism and cultural tourism. You can enjoy nature, you can visit the Bay Nhanh waterfall. Here tourists can enjoy the beautiful scenery of the island village, a hanging bamboo bridge, watching Bay Nhanh waterfall and enjoy the gourmet cuisine of the rich Highlands. 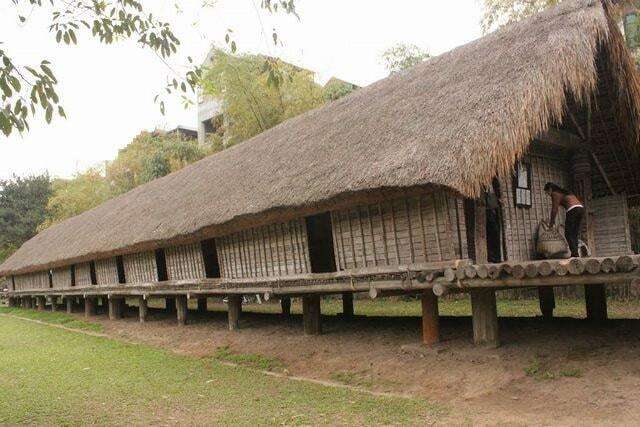 You can also visit a longhouse of the indigenous population. This longhouse is about a hundred meters long. Five kilometers from the island village you can ride on an elephant. On the swinging back of an elephant, you get the "adventure feeling." You can use them to cross the Serepok river to Yok Don National Park. Besides the thrill of rocking back sitting on the elephant you can get that feeling to the fluctuating, hanging bamboo bridge. This bridge is about a hundred meters long and the river brings coolness, as you walk. There is a possibility for a homestay in a stilt house and in the neighbourhood is also a rubber plantation. Elephant hunting and taming was an important tradition in Dak Lak province, and the M'nong tribe of Ban Don district were particularly famous for their skills. Tracking and capturing a wild elephant would take several days, with a whole troop of people and five to ten domesticated elephants involved in the hunt. Taming the elephant required up to three months and the relationship was so strong, elephants were considered members of the family and the village. In the early 20th century, 30 wild elephants were tamed in the province every year. 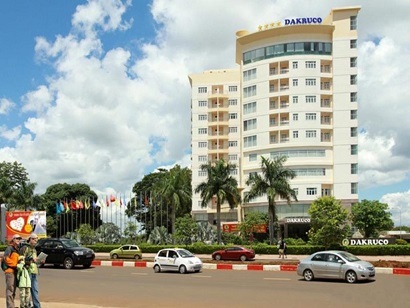 A 4-star property, Dakruco Hotel is located in Buon Ma Thuot in Daklak Province. Featuring a spacious area, it is peaceful and delivers a refreshing ambience. Just a 10-minute drive from the airport, the property gives great comfort and is suitable for both business and leisure travelers. Boasting 120 rooms and suites, they feature facilities like a standard spa, fitness center, gymnasium, swimming pool, and sport center including indoor tennis courts, table tennis, and badminton. A flawless property, Dakruco Hotel is definitely worth your stay.